I have recently been blessed with gifts from some of my blogging friends. So I wanted to publicly express my gratitude. Totally out of the blue, I got a package as Mr. Jim was going into the hospital for his surgery. It was from sweet Judith of Lavender Cottage! 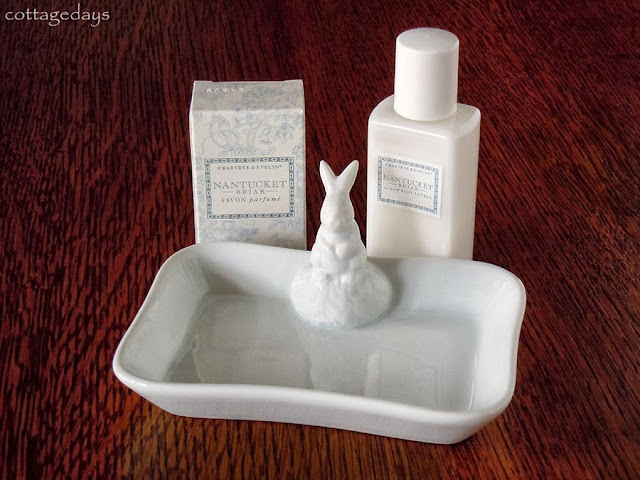 She sent me a little rabbit soap dish to cheer me up! How cute is that?! Marty thumped his approval right away, LOL. I love it, and it is already been assigned to duty at the sink in my cozy laundry room. Judith also included a beautiful floral card (oops, no photo of it) and scented Crabtree and Evelyn soap and lotion. Thank you, Judith, for your thoughtfulness. And yes, you succeeded in raising my spirits! 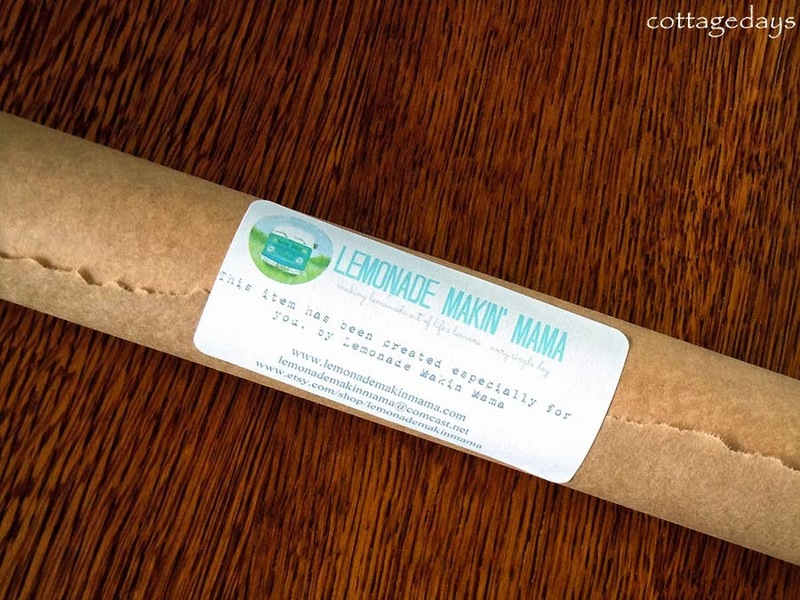 In addition to that surprise, recently winning two bloggy giveaways also has surprised me! The first giveaway prize I won was sponsored by dear Sally of Drinking From My Saucer. The package arrived in the mail this past week. 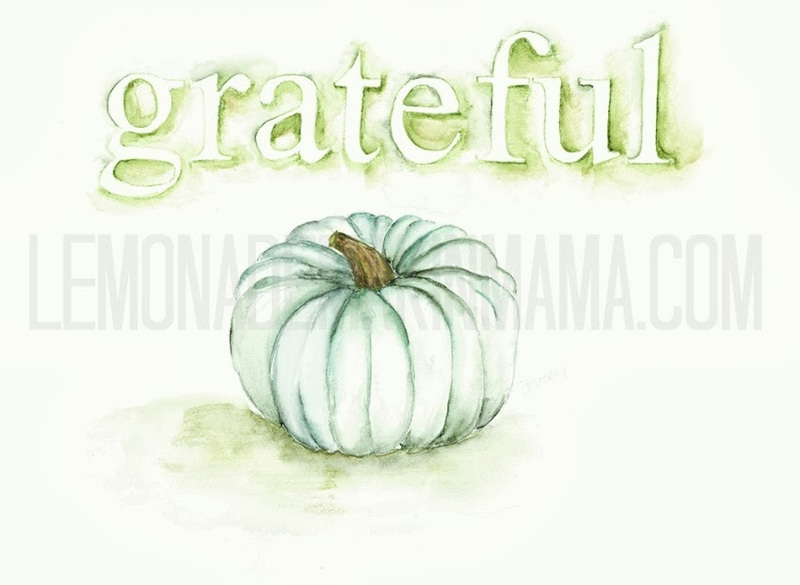 And it was a beautiful 11”x14” Grateful print by Sasha of Lemonade Makin' Mama! The message sure does reflect what I have been feeling lately. Thank you, Sally and Sasha! The second giveaway prize I won was sponsored by my long-time good friend, the ever-cheerful Kim of Homesteader's Heart. It was a Starbucks card! 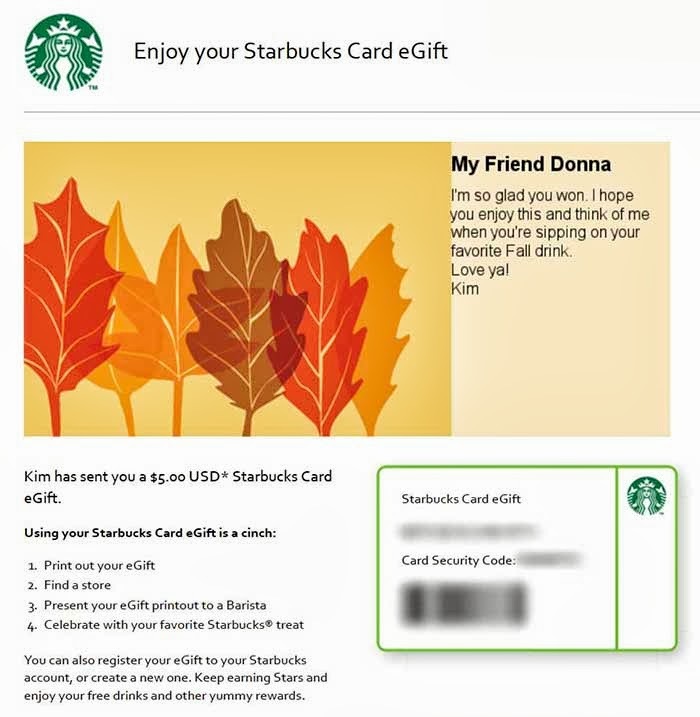 Thank you, Kim, and I will be using it soon at the Starbucks coffee shop in our hospital’s cancer building! 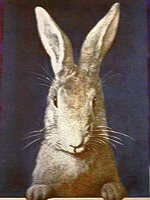 And I would be remiss in not mentioning that we received many cards and e-mails from my blogging friends during the past couple of months. From the bottom of our hearts, thank you for your kindness! In my book, your friendship is a cherished gift. Oh, so sweet of your friend from lavender cottage, Donna. I'm so glad to hear you have won some give away too :) Prayed for you and your husband on the day of surgery. Hope everything went on well and your husband is doing better now. Will continue to pray for you. Our internet family certainly is awesome! How sweet and thoughtful. We sure have lots of good blog buddies. I love Marty on the soap dish. I wondered when I saw the photo....how did you do that? lol You are both precious to us and in our prayers. Sweet hugs! Oh I'm so glad that blessings are being poured out to you. It helps soften the hard times just a little. You are very loved by many. Blessings are wonderful aren't they. Always a blessing to have warmth and care come from a friend ! Thinking of you both daily. Your gifts are wonderful as you are also. Congrats on your wins and blessing to your sweet gift giving friends! You've been through the mill and deserve it all lady. nice to get some pick-me-ups! some expected, some not! bloggers are a wonderful support crew! It is lovely to receive gifts any time, but most especially at a challenging time. Friendship is a great blessing...even cyber ones. That soap dish is definitely given with you in mind. Congrats also on the print and the Starbucks! That soap dish is so perfect for you! How sweet for Judith to send it. I hope the next thing you have to share with all of us who think the world of you is only good news. I have learned from other wonderful bloggers that they are there for you when needed. I was only too happy to pay it forward and send you a little gift when you could use some cheering up. It was neat to find a little Marty and gratifying to know he has made you happy. Give Jim a big hug and let him know you are both still in my prayers. Congrats on your giveaway wins, the Starbucks card is a nice idea. What sweet gifts! I love the way friends touch our hearts just when we need it most. You, dear friend, do that all the time. Thank you for sharing your gifts - and your heart with us.